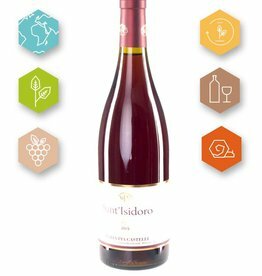 “Erasmo Castelli” is the Maria Pia's leading wine, made only from 100% Montepulciano grapes. 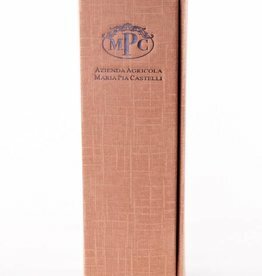 Stylish exclusive gift box with the inscriptions of Maria Pia Castelli for 1 bottle in hard golden hard cardboard. 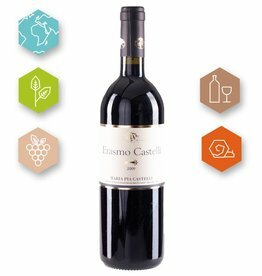 Erasmo Castelli is Maria Pia's leading wine. 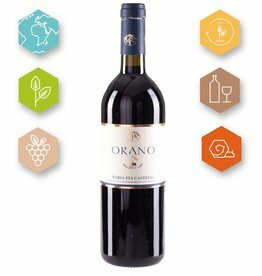 made from hand harvested 100% Montepulciano grapes. 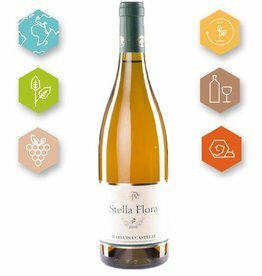 Maria Pia Castelli | Stella Flora 2010 | Le Marche Bianco I.G.T.